Black Diamond (and PIEPS) for the next season ( 2019/2020 ) prepared as amended (the lighter of ~ 0.5kg !) Version of Jetforce called Jetforce PRO (in the case of PIEPS Jetforce BT ). The withdrawal of the old models of Black Diamond / PIEPS – HERE. All backpacks I’m referring on the website I bought or borrowed, the text is not sponsored, I can write what I like and no one will punish me ;). Quick introduction Jetforce how the system works. After firing system must maintain the bag inflated by at least 3 min (Avalanche Airbag standards), therefore every time a speed fall from 50% to 100% to mainait air inside. Deflates after 3 minutes to get extra space and the recovery of fresh air in case of total burial – As I wrote earlier, there are no studies that confirm saving anyone (deflation). Small update: „Automatic” deflation can be turned off … by turning off the backpack. The balloon will be inflated longer, but just as in backpacks cylinder , the air will escape. Jetforce PRO / Jetforce BT for PIEPS – I write about it here. All information contained herein may change slightly as a backpack goes on sale. Increased (significantly) load of the backpacks. The system fires up to 4 times on a single charge. Each booster has a mount for a helmet. 35L has an extra pocket for goggles. 35L (Weight: ~ 3000g) – booster – 1-2-3 and even a 4-days trips (in my opinion the best choice when buying this system). Comments about which I informed Black Diamond (remember that this backpack comes on the market until next season). As already you manage to guess backpack will have „some” back of the system and for this you can buckle up adequate capacity (booster). The system itself has not changed significantly somehow, added connectivity Bluetooth for possible software updates and fleet management backpacks through an application on the phone (for example rental avalanche equipment). Boosters are mounted via zipper. This is the booster backpack with 10L ( „capacity” of the backpack makes the space of the main zipper to the left side. 35L booster – and what I managed to put inside. 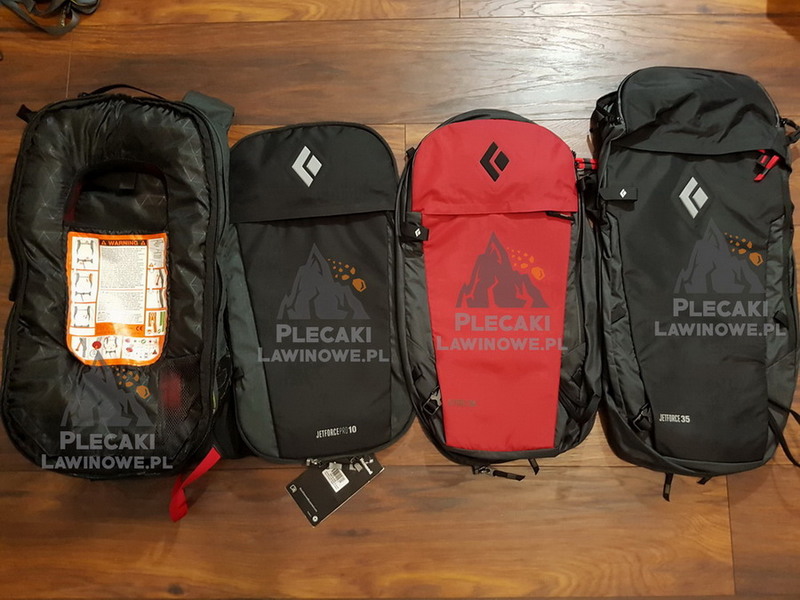 For comparison, the old version of Black Diamond HALO 28L in size M / L (and this is just the kind of difference 28L vs 35L). Backpack carrying system is made „smoothly”. Notches on the hip belt to be to better fit the waist to the hips. Waist belt with a small pocket for some chocolate bars, candies, etc :). Each avalanche backpack to function properly REQUIRES fasteners „leash” that goes between the legs, here it is comfortably settled in carabiner eye. The chest belt which MUST be worn and adjusted Also it its adjustable higher / lower. Ski carry on 35L booster is almost impossible, the upper eye/strap is too short – but I posted this information to the Black Diamond. Helmet carry – comfortable, hassle-free (As you can see – right now you are not able to carry the skis). System is permanently attachet to the backpack. Previous Post Dlaczego nie należy używać pętli od kijków przy wejściu w teren zagrożony lawinami.